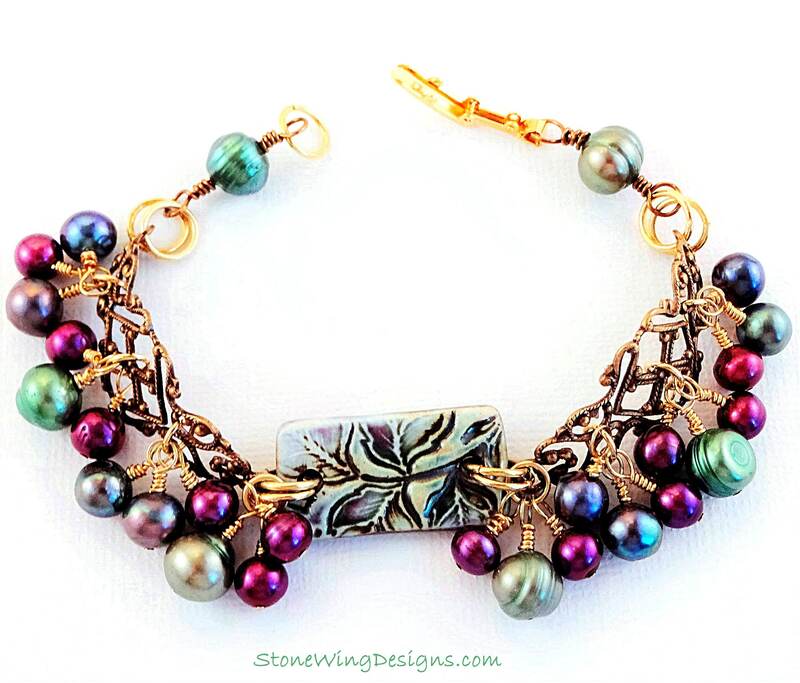 Peacock Pearls is a published bracelet appearing in the 2013 edition of Easy Wire Magazine. 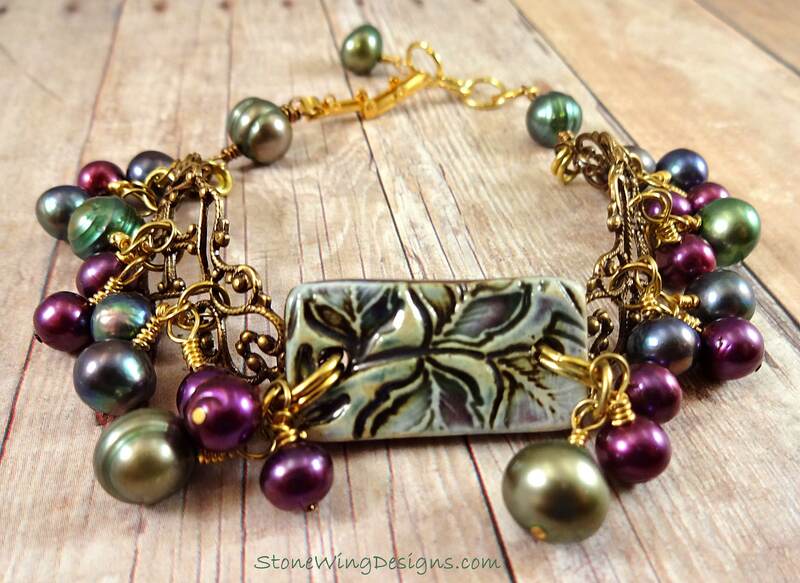 With its rich colors, antique gold filigree and ceramic centerpiece, Peacock Pearls has plenty of style. 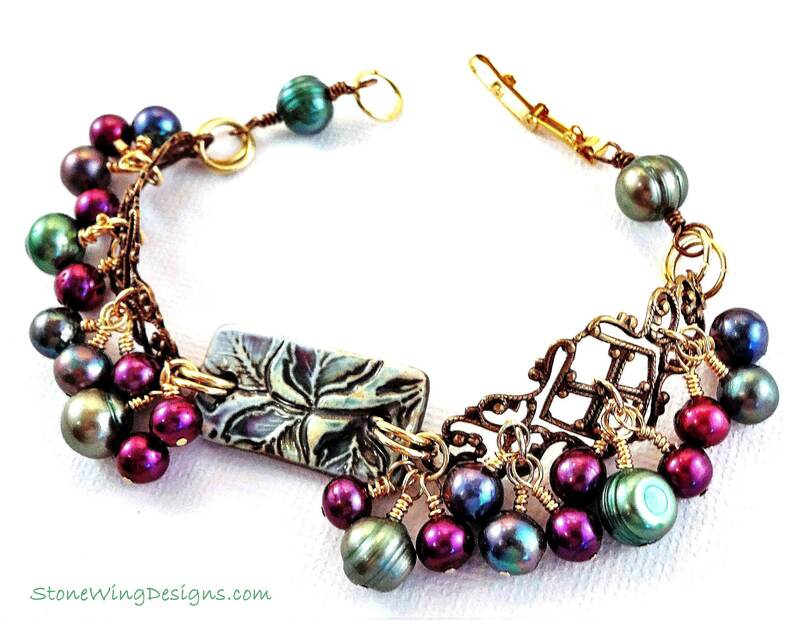 The hand-crafted ceramic link, created by Earthenwood Studios (https://www.etsy.com/shop/earthenwood), is connected to two antique brass filigree links that hug the wrist. 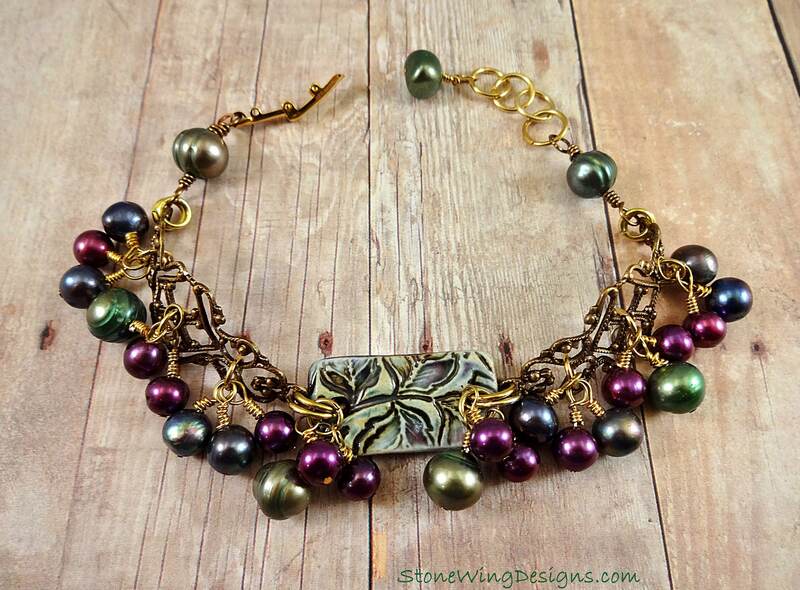 A cascade of cultured freshwater pearls in shades of green and fuschia dangle from the filigrees. 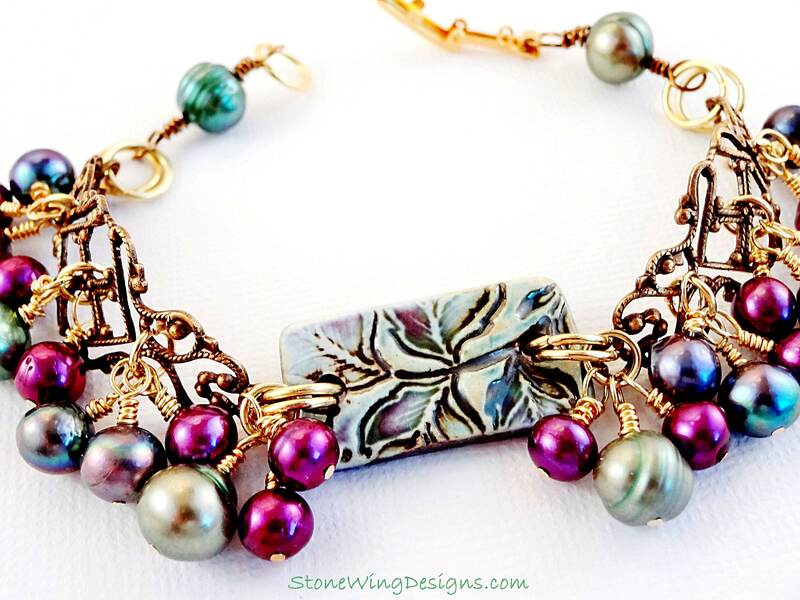 The ends of the bracelet are comprised of green pearl links. 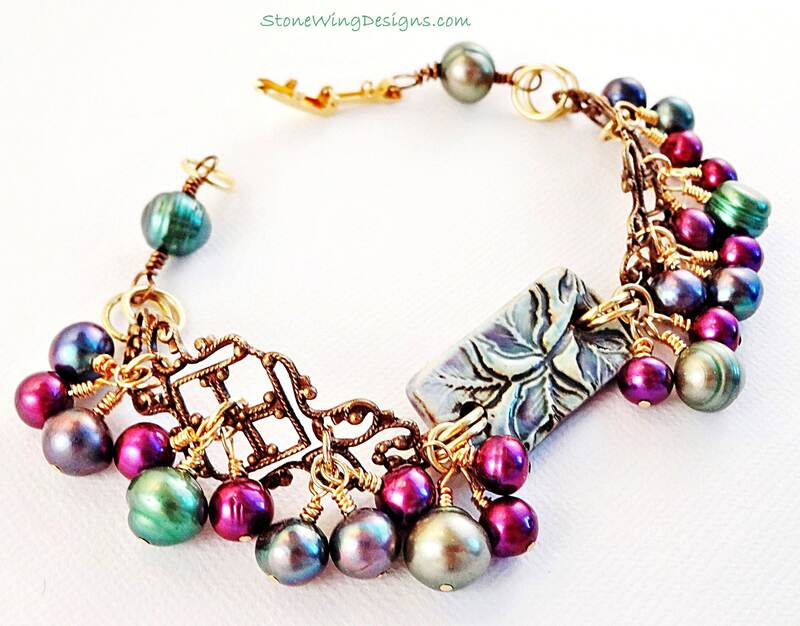 Four gold rings and final pearl drop make the bracelet adjustable in length. The closure is a gold fold-over clasp, one I use most often because it is very easy to clasp without assistance. 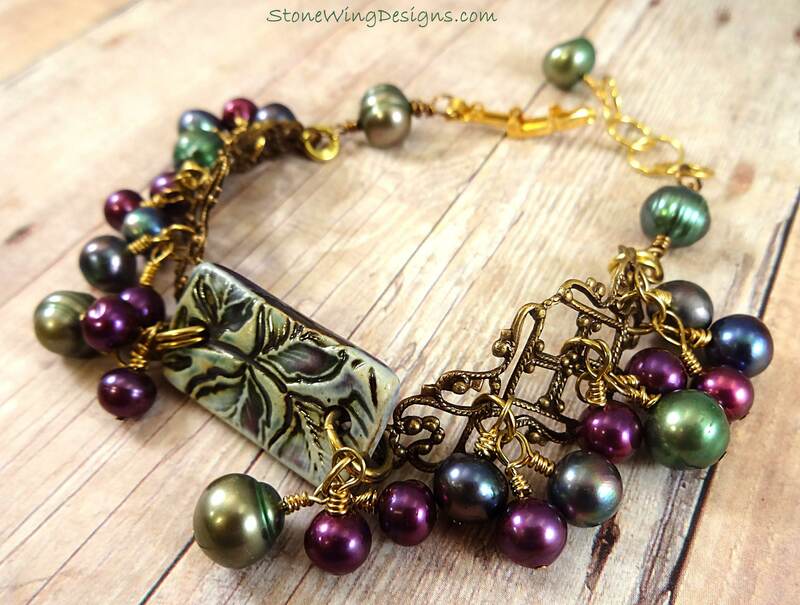 Message me if you'd prefer a lobster clasp instead. Size: adjustable from 6.5 to 7.25 inches. Leave a message at checkout if you need a different size.